The new ParticleTrack G600B with FBRM technology allows scientists to track changing particle size and count in real time at full process concentrations. As experimental conditions vary, particles, particle structures and droplets can be monitored continuously, providing the evidence required to deliver consistent particles with the required attributes. By monitoring particles continuously, ParticleTrack G600B enables scientists to determine optimized operating conditions. 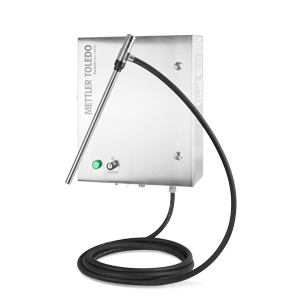 METTLER TOLEDO is pleased to announce that the ParticleTrack G600B with FBRM technology is now available. Using the FBRM Method of Measurement, ParticleTrack G600B is a versatile, probe-based instrument that is inserted directly into laboratory reactors and production processes to monitor particle size and count in real time. Particle size and count directly impact performance in multiphase processes. By monitoring particle size and count in real time with ParticleTrack G600B, scientists can understand, optimize and scale-up processes confidently using evidence-based methods. Particles can change when sampled and be prepared for offline analysis. By tracking changes to size and count as particles naturally exist in process, ParticleTrack G600B allows scientists to obtain process understanding safely and with no delay – even at extremes of temperature and pressure. By monitoring particles continuously, ParticleTrack G600B enables scientists to determine optimized operating conditions. Evidence obtained in both the laboratory and plant can be used to ensure fit-for-purpose particles are delivered through high-quality processes. The flexible ParticleTrack mounting system allows probes to be installed in lab reactors, production vessels or pipelines using standard fittings and flanges. 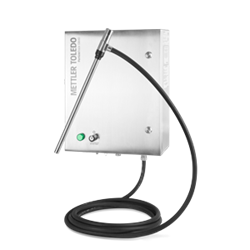 The robust probe design ensures continuous and reliable operation with minimal maintenance. Common applications for ParticleTrack G600B include understanding crystallization; controlling particle size and shape; emulsification; and flocculation. METTLER TOLEDO provides the enabling technology, software and people that can help build a seamless workflow to translate bench scale chemistry into a commercial process. For more than 20 years, our enabling tools and services have been a strategic resource providing critical information for thousands of development scientists and engineers. Companies have used that knowledge to accelerate the discovery, development and scale-up of new chemical processes spanning the chemical and biopharmaceutical industries. For more, visit http://www.mt.com.